How time flies! There are only two months left in 2018! Do you feel that this year has passed too quickly? 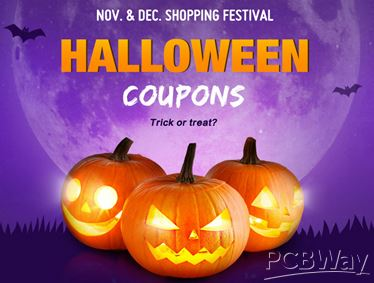 Do you still remember the activities of Christmas and Halloween held in PCBWay last year? Are you still attached to last year's activities? So, let me tell you something very exciting, that is PCBWay's 2018 surprise activities. Do you want to know what activities are available? Let me elaborate on our activities this year. 1. 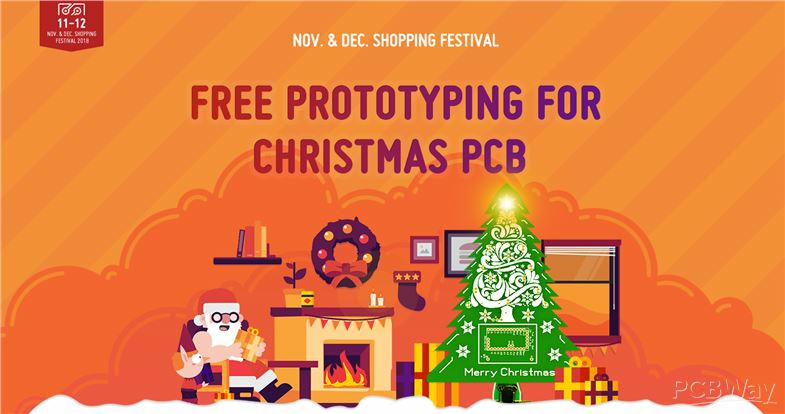 Share your design of Christmas PCB on PCBWay Shared Project Page. (Add Keyword: Christmas2018). PS: During the collection of Christmas PCBs, we will choose one most popular design that will be made 10,000 pcs to give away randomly as PCBWay 2018 Christams Gift. 1) It applies to all order in PCBWay, PCB order, PCBA and Stencil. 2) Only available when order amount is over $100. 3) Expire date is 30 days after your get the coupon. 2) Expire date is 7 days after your get the coupon. After watching the above two activities, are you flipped? In fact, these two activities are only part of the activities we plan to hold this year. That is to say, there will be other activities, so please look forward to it! We are looking forward to your artwork! Previous：How to Design a PCB Panel for Less Money?